One of the best things about being a man today is that any stigma associated with beauty and skincare has long since been rubbed away like an aching back knot. 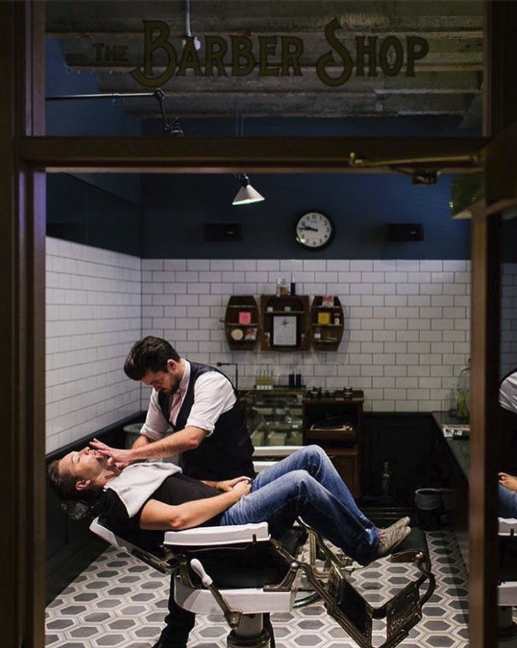 QT Sydney has embraced this with the Barbershop at spaQ, catering to the modern urban man with a glass of scotch and straight razor shaves, including luxury customized barbering services, and a contemporary approach to men’s skincare. 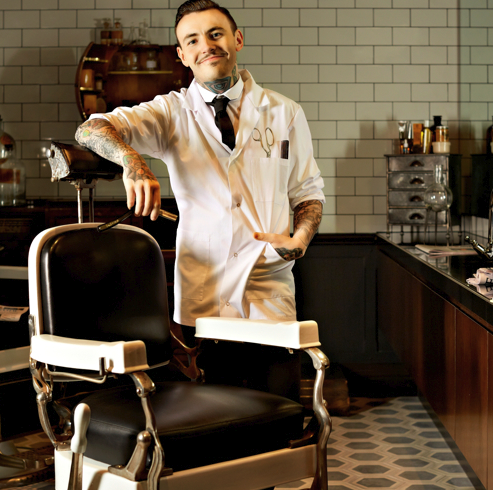 Set in the historical Gowings building in the Central Business District (CBD), spaQ pays homage to its roots by reinstating the former department store’s traditional men’s barber service. The spaQ interior, designed by acclaimed designer Nic Graham, speaks to masculine tastes with a rich, dark color palette. The six treatment rooms, relaxation room, and full amenity change room boast modern fixtures next to conversation pieces such as restored stained glass, heritage tiles, and wooden lockers recovered from World War II Japan. The dimensional lighting and calming atmosphere of spaQ Sydney is truly an experience to behold – providing a nice change from the hustle and bustle of the city. 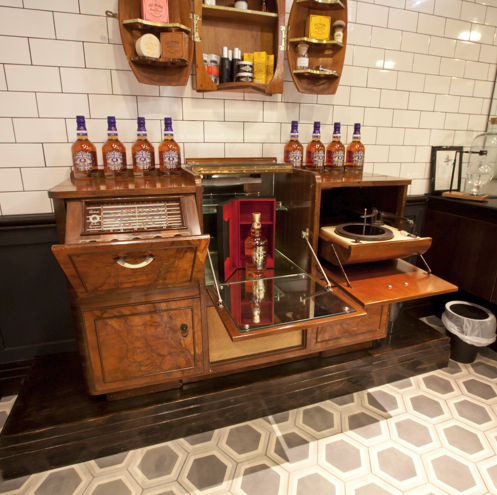 The Barbershop is known for mastering the age-old wet shave, a luxury has been a pleasure enjoyed by men for centuries. This trip, treat yourself to the Mr. Bond treatment! The worldly experience starts with a glass of a Chivas Regal blended Scotch whiskey followed by a steaming hot scented towel to soften your beard. Proceedings then continue with the application of healing, anti-inflammatory shaving cream to lift the hair away from your skin, reducing friction before a traditional wet shave is performed. Next comes a shoulder or hand and arm massage followed by a cold towel to close the pores in preparation for a final layer of moisturizer. A day at the spa or a grooming appointment is an enjoyable pleasure. Luckily the Barbershop at spaQ offers a wide range of grooming services and treatments that provides the perfect opportunity to unwind and rejuvenate your skin before facing the world.